​When sixteen-year-old Cooper Ward, of Sapulpa, Okla., received his license, he was adamant of checking ‘yes’ when the question, “would you like to be a registered organ donor?” appeared on the screen. After all, he knows the importance of making a decision that could save a life. Born with a life threatening liver disease, Cooper’s health was deteriorating rapidly. Early in his life, he underwent exploratory surgery to determine a diagnosis. Ultimately, the doctor returned the devastating news to his family that Cooper would die unless he was fortunate enough to receive a liver transplant. He was placed on the transplant waiting list and continued to decline in health daily. While his lab work worsened, he was jaundiced in appearance and his stomach was distended from fluid buildup. The hospital became ‘normal’ for Cooper and his family as they practically lived there – including spending birthdays in the facility. They would try their hardest to create a normal childhood for Cooper by pulling him in a wagon being followed by IV poles while walking around the hospital. ​Soon after Cooper’s first birthday, his health continued to decline and was he moved to a higher status on the waiting list which meant Cooper would die if he did not receive a liver transplant soon. One night, their nurse told his family there was a potential donor for Cooper. Preparations for transplant began to happen quickly. He underwent several procedures which ultimately made him a better candidate for the transplant and would help his body react better to the lifesaving procedure. Cooper received a liver transplant because of a donor and their family who made the decision to give life at one of the worst times of their lives. Soon after receiving the transplant, Cooper’s family noticed they were watching him thrive and get better every day instead of watching him deteriorate like they had in the past. 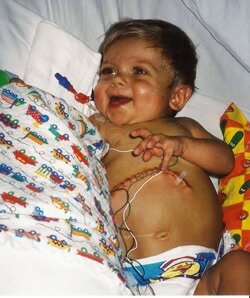 Eight years later, Cooper began to run into health issues which can occur after a transplant. Breathing became a struggle for him and he was also diagnosed with Lymphoma. He was sent to a hospital in Dallas where he received chemotherapy treatments and also received a tracheotomy to help his breathing. Having received a transplant, battling Lymphoma and having a trach, there were not many activities Cooper could participate in. To get him out of the house, his mom would often take him to the local bowling center in their town where children had the chance to bowl for no cost. ​Cooper began enjoying bowling, so his parents put him in a youth league. He began to succeed over the next few years, and was later invited to bowl in a competitive bowling league. He continues to bowl in this league and also with his high school. His competitive bowling allows him to travel to various competitions to compete for scholarship money. 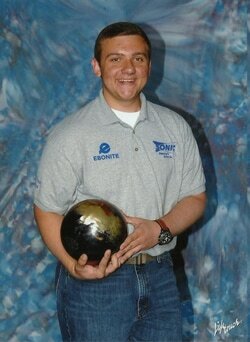 Cooper is currently the United States Bowling Congress (USBC) Youth State Champion in singles and all events. He has also earned a spot to compete at the national level in July. “My husband and I treasure everyday being able to see Cooper be a normal, healthy kid. We have watched him grow and develop into an incredible young man. He has something unique about him and it shows. Our family has been so blessed – nothing would be possible without the gift of organ donation,” Brandy Ward, Cooper’s mother said. Across the United States, more than 118,000 individuals wait for an organ transplant to save their life. Thousands more are in need of tissue and corneal transplants to restore mobility and sight. Without the generous gift of more than 24,000 donors in the United States per year, many would still be waiting for a lifesaving gift.